Welcome to Lubbock Discount Realty, your LOCAL Discount Real Estate company with LOCAL agents that live and work right here in West Texas. We are bringing a NEW concept to Lubbock that is sweeping the nation: the concept of a FLAT FEE listing on MLS. Soon to be gone are the days of traditional real estate agents and 6% (or higher) real estate commissions. With Lubbock Discount Realty, you pay a one time, LOW, FLAT FEE price to list your home in the Lubbock MLS. The MLS (Multiple Listing Service) is the local search engine that the majority of all real estate agents (760+) in Lubbock use to find a home for their buyers. You also have the freedom to market and sell your home to your own buyer & pay no buyer agent commission. 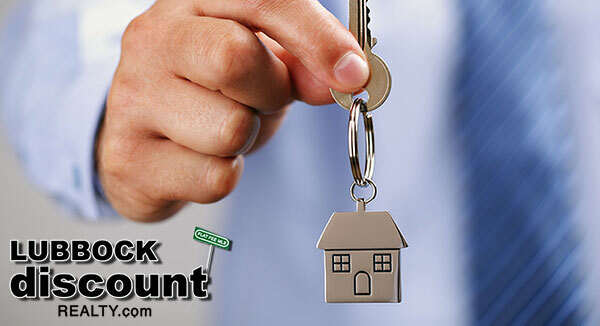 At Lubbock Discount Realty, you only pay for what you want and need. Our office is located at 4413 82nd Street Suite 125. Other internet sites are referral companies. They take your money and refer you to another broker in the area. You have no idea if there will be additional fees due from the broker they refer you to. We are customer direct. WE list your home and WE put a sign in your yard with OUR name on it! When you list with us, you get multiple photos of your home, a high-quality yard sign, a key lockbox and many other things others cannot or do not offer. If you are selling your home, we offer a FLAT FEE MLS listing. If you want or need more services, we recommend our BASIC listing service. If you require an even higher level of service, we also offer our FULL listing service. We also offer other service listings (call for details)… but, of course, at a discount over most other brokerages. If you need something you don’t see, just ask! At Lubbock Discount Realty, you only pay for what you want and need. We are also celebrating our 7 years of BBB Accreditation. We’ve been accredited since 2007.